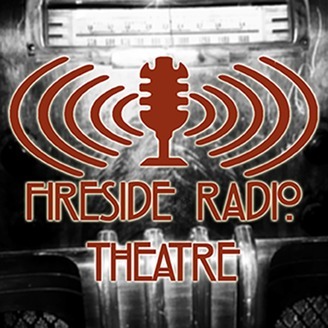 Fireside Radio Theatre presents original stories as well as adaptations of classic works of literature as digital broadcasts for podcast listeners. 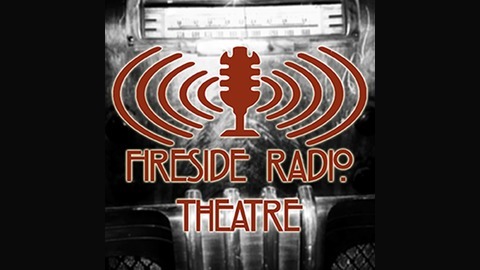 With a collection of Fireside Archive recordings spanning five previous seasons and an exciting lineup of future broadcasts, Fireside Radio Theatre's mission is to translate the drama and imagination of the Golden Age of Radio to a modern listener's experience. ​ ​. The shades are at play this Christmas Eve at the Sunset Chateau. Famous crooner, comedian and womanizer Irving Kindler finds himself enamored with a new woman in the Lobby Lounge on Christmas Eve when he meets the embodiment of his wife Joy at age 22, the age when they married. Is it Christmas magic at play or just another trick of the Sunset Chateau? Tune in for an eerie Christmas treat. A series that has been called the stylistic child of The Twilight Zone and The Shining, The Sunset Chateau traces the stories that haunt the hallways of a 1930s glamour palace in the heart of Hollywood. Tune in each episode as more tales of the bizarre and otherworldly unfold in this place outside of space and time. Written and directed by Zachary Pelicano, Produced by Minitru Productions and recorded at Fireside Studios. Stay tuned for more Fireside Radio Theatre! Follow us at Facebook, Twitter & Instagram to get the latest news about the company, scheduled upcoming broadcasts and more. To support the show and get access to bonus material and special perks, visit our Patreon page and become a Fireside Patron. Every donation you make helps us make better shows and we really appreciate every bit of help we can get. Leave us a 5 star review on iTunes if you have a chance and let us know how you're enjoying the broadcasts. The more descriptive your review, the more people will see it and listen in as well. We'll be back soon with more of The Sunset Chateau. Thanks for listening!